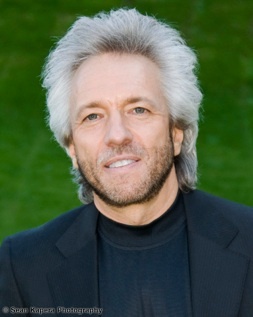 Brilliant and insightful…I see Gregg Braden as one of our great visionaries. – Dr. Wayne Dyer, author of The Power of Intention Gregg Braden is a rare blend of scientist, visionary and scholar with the ability to speak to our minds, while touching the wisdom of our hearts. – Dr. Deepak Chopra, author of How To Know God *New York Times best selling author Gregg Braden is internationally renowned as a pioneer in bridging science and spirituality. *Following a successful career as a Computer Geologist for Phillips Petroleum during the 1970’s energy crisis, he worked as a Senior Computer Systems Designer with Martin Marietta Defense Systems during the last years of the Cold War. *In 1991 he became The First Technical Operations Manager for Cisco Systems where he led the development of the global support team that insures the reliability of today’s internet. For more than 25 years Gregg has searched high mountain villages, remote monasteries, and forgotten texts to uncover their timeless secrets. His work is now featured on the History Channel, the Discovery Channel, The Sci Fi Channel, ABC and NBC. To date, Gregg’s discoveries have led to such paradigm-shattering books as: The Isaiah Effect, The God Code, The Divine Matrix, and Fractal Time which debuted in 2009 at #5 on the New York Times bestseller list just 2 weeks after it’s release! His newest, Deep Truth: Igniting the Origin of Our Origin, History, Destiny and Fate will be released later this year.